Saginaw Bay Area: Changing ice conditions are putting anglers at risk. The winds have caused the ice to move and have created several areas of open water on both sides of the bay. Those riding machines need to be extremely careful and make sure you can see what is ahead of you especially during the periods of low light. Snowmobilers have run into open water and had to be rescued from the Hot Pond Channel and about two miles off Linwood. CAUTION NEEDS TO BE USED. Perch fishing was hit-or-miss off Newman Road and Townline Road. 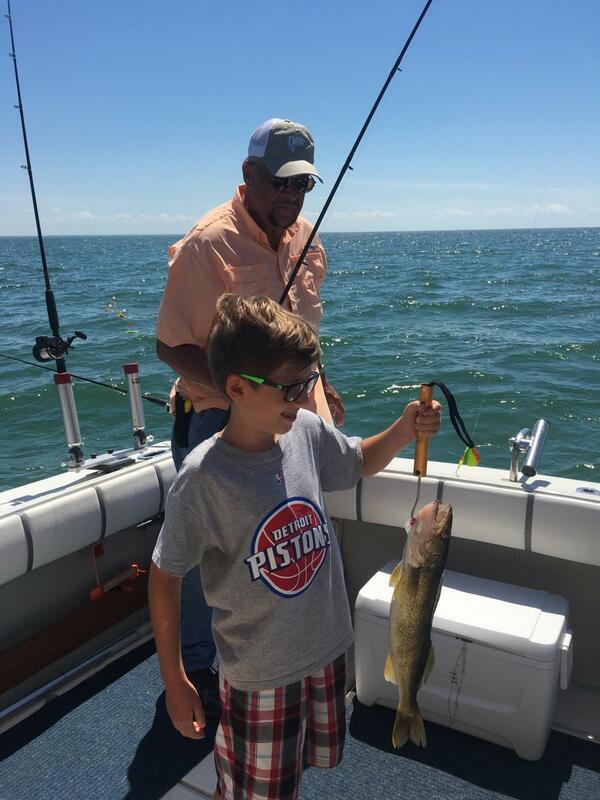 Walleye were taken about three miles off Linwood however you need to avoid the open water about two miles out. Walleye were caught about three miles off the Bay City State Recreation Area however there is a bad pressure crack out there. On the east side, they did pretty well for perch between Vanderbilt Park and Tietz Drain early in the week but it tapered off. 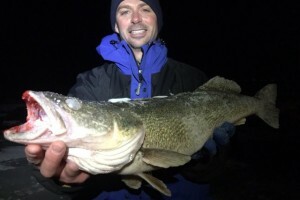 Walleye anglers on the east side were three to eight miles west of Thomas Road and eight miles north of Callahan Road. Perch fishing was spotty at Geiger Road and Mud Creek. Walleye anglers were heading out from Geiger Road and fishing the Slot in the evening. Walleye anglers going out beyond North Island need to use caution due to a large pressure crack in the area. Those fishing the marina at Sebewaing and Caseville did not do so well. Saginaw River catch rates slowed along the river. Many of the walleye were small but a few keepers were reported. Those with fish finders and cameras say the fish are down there but it seems they do not want to bite. Fish were caught around the mouth but again success rates were hit-or-miss. Au Gres Area most of the action was off Booth Road along the drop-off but some were going south to the Catfish Hole which is off White’s Beach. Perch fishing was fair off Palmer Road. Try eight to 10 feet for perch or 12 to 20 feet for walleye. 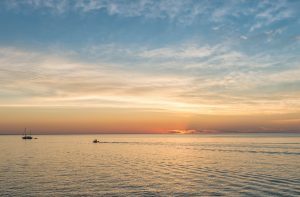 The perch were hitting between dawn and 11 a.m. while the better walleye fishing was early or late. Tawas Area perch fishing was really slow right along with the walleye bite. Anglers are going out to 20 feet and getting a few, but no limits. Those spearing pike also reported slower catch rates. • Remember that in the middle of winter perch typically school together and head to deeper water. It won’t be until the ice disperses that they’ll head for shallower depths. • Don’t sit still when perch are lingering in deeper water and be prepared to drill LOTS of holes to find them. 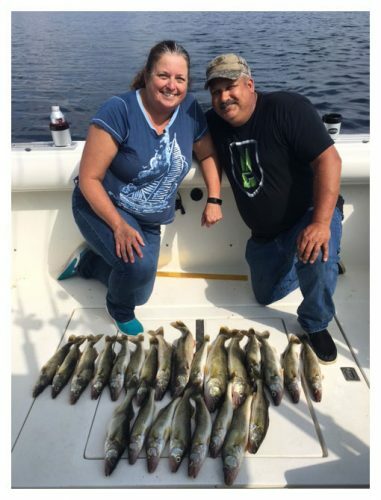 • Consider combining passive and aggressive presentations when targeting perch – passive versions might use live bait and slip bobbers while aggressive versions might use lures and jigging spoons. 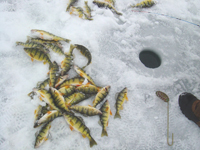 Want even more tips for targeting yellow perch? Check out their page on the Michigan Fish and How to Catch Them website.